Wild Horses Over the Mighty Columbia | Get Lost. Often. 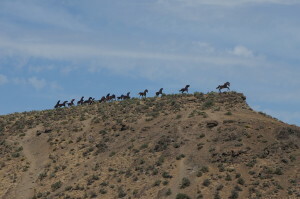 Most people know it as the Wild Horses monument, however the real name is “Grandfather cuts loose the ponies” and despite being started in 1989, the sculpture still is not complete. Designed and created by Chewelah, Washington sculptor David Govedare, the finished piece was supposed to have a tall, woven steel basket, tipped by Grandfather (symbolizing the Great Spirit), allowing the 18 horses within to run free. 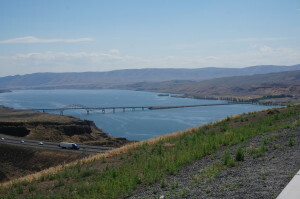 Fundraising efforts were not enough to complete the sculpture perched high above the Columbia River (Wanapum Lake) near Vantage, Washington. 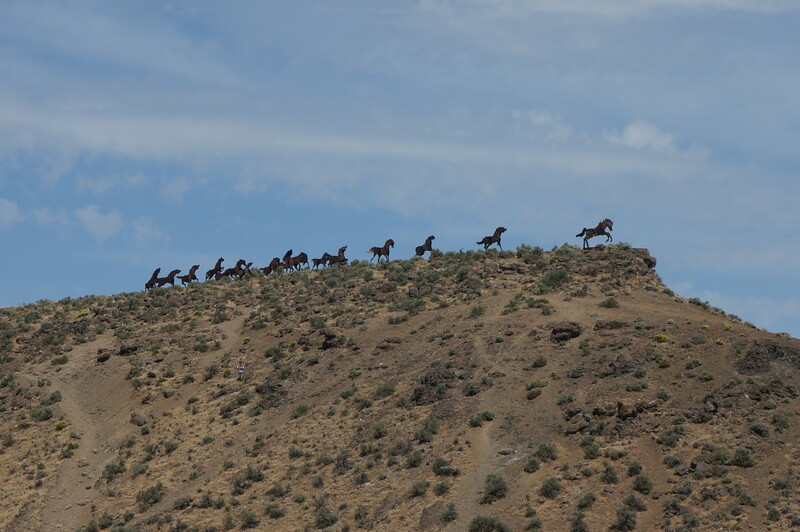 The 15 life-size galloping horses are best seen from a distance, however you can hike right up to the sculpture.